Members of the Friends of Messalonskee have fielded complaints about boaters coming too close to the birds' nesting areas or driving too fast too close to shore. What began in 1984 as a means to get a better understanding of the population of one of the state’s most popular birds, the loon, has blossomed into a massive, statewide volunteer effort that takes place for just half an hour once a year. According to the Maine Audubon Society, the results of the 2017 count suggests the population is holding steady, but loons are being challenged. Boaters who are unaware of the nesting birds or of the rules in place near their nesting grounds can be a danger. Sara Stockwell, conservation director at Maine Audubon in Falmouth, said loons need to nest right next to the water. Their legs prohibit them from walking on land, so they nest on the water’s edge so they can easily slip back into the water. However, because of their proximity to the water line, loons can often fall prey to passing boats. “If boaters come close to the nest, either motor boats or kayakers, then the loons will sometimes slip off their nest, which will leave the eggs exposed to predators or extreme heat or cold, which can cause problems for the eggs developing,” Stockwell said. Boaters who disregard speeding laws also pose a danger to nesting loons. If a boat is going by within 200 feet of shore, the operator is supposed to observe no wake laws. If a boat is going too fast, Stockwell said they can create wakes, which can wash over loon nests and destroy them, ruining the nesting season for the mated birds. 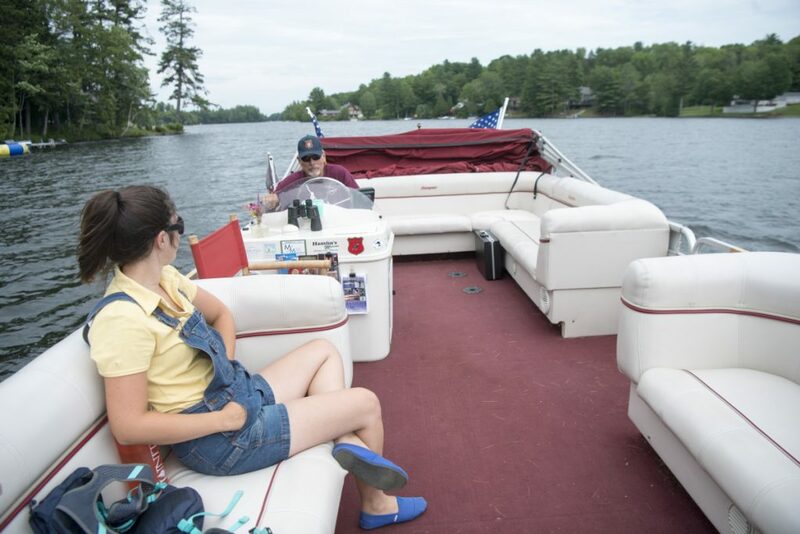 Rachel Whitney, a member of the nonprofit Friends of Messalonskee, said her organization has received multiple complaints about the lack of boater etiquette. On one island, she said there have already been two nest failures from the same breeding pair of loons because of the impact of waves on the shoreline where the birds nest. 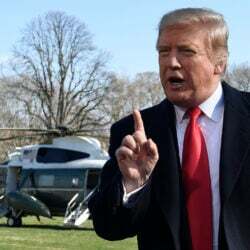 All told, four eggs were lost. Whitney said there are problems with boaters and loons on lakes and ponds all across the state, and she said it’s either improper boating or a lack of education on the boaters’ part. She doesn’t think errant boaters, many of whom likely come from out of state and might not know the laws, are aware of the impact they have on wildlife. She’s been in contact with the Biodiversity Research Institute, which studies threats to wildlife and ecosystems, for professional help. While she said they were advised to let nature play out, Whitney said she still wanted to draw attention to the issue. “We had one loon that almost died because it had fishing line wrapped around its head,” she said. They had to call Avian Haven, a wild bird rehabilitation center based in Freedom, who rescued the bird, but because it was taken away from the habitat, it lost its nesting season. Audubon can’t help in the event an injured or deceased loon is found, as they are not equipped to handle that. The organization says to call the Warden Service at the Department of Inland Fisheries and Wildlife or Avian Haven. According to the Adirondack Center for Loon Conservation, a research organization based in New York, human disturbance can be dangerous to loon populations, but it is easily preventable, The organization advises people recreating on a lake or pond where loons are nesting to be observant. 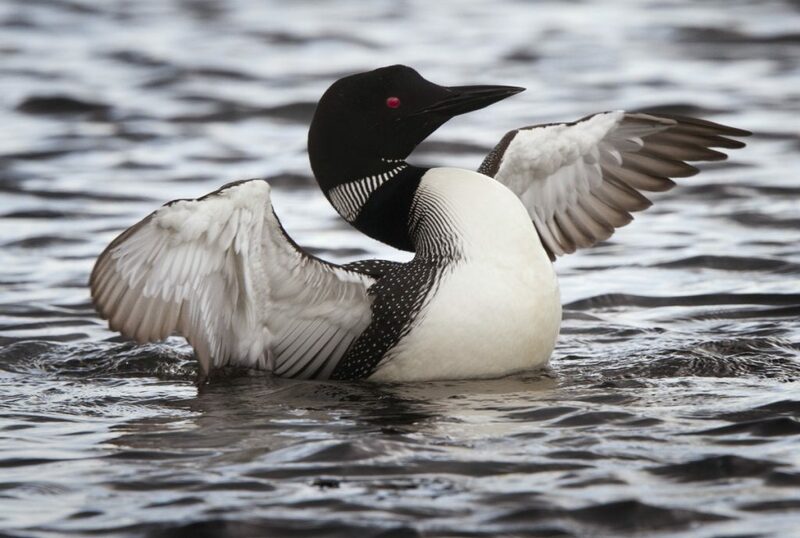 A loon will vigorously dance on the water and call out loudly to distract predators or perceived threats away from their nest. While interesting and unusual to see, the Adirondack Center says if a loon behaving like this, chances are you’re too close. 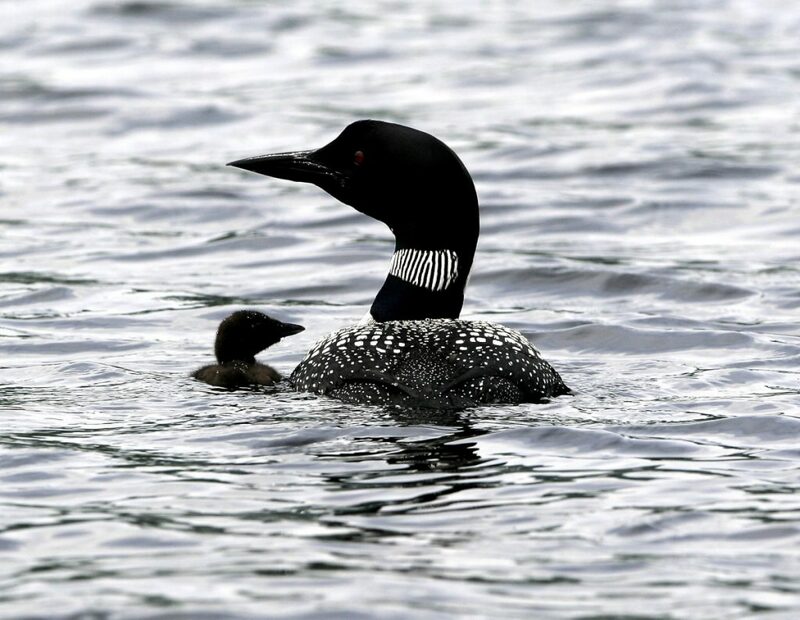 “Jet ski and motorboat operators can help significantly by staying away from the shoreline, and keeping a sharp eye out for loons (and other wildlife) while on the water, giving them a wide distance to feed and care for their chicks,” the center says. Stockwell said boats can be life threatening to loons. The second leading cause of death in loons is blunt force trauma, likely related to being hit by a boat. This can be from boaters going too fast or not paying attention, but also because loons are unpredictable. They dive for food, and if they are below the surface, it’s anyone’s guess where and when they will pop back up. Tufts University conducted a study of loon mortality by performing necropsies on deceased birds collected from across New England to determine cause of death. The first leading cause of death is ingesting lead sinkers, which have been banned in Maine. The Wildlife Clinic at Cummings School of Veterinary Medicine at Tufts University studied over 2,500 birds, breaking them into four age categories: chicks, immature loons, wintering adults and breeding adults. A large number were classified as unknown because of the condition of the bodies they were studying. Nevertheless the results from the 2017 loon count suggests the population is holding steady and chicks are increasing. 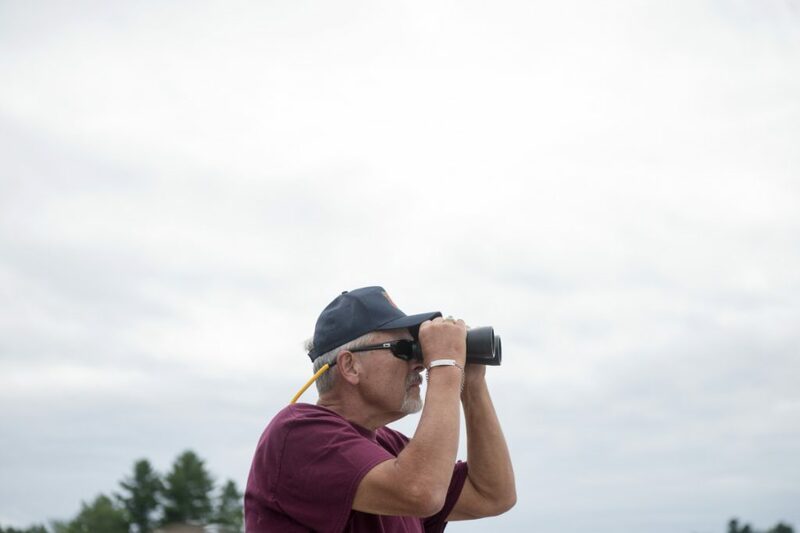 The state’s annual loon count, now in its 35th year and sponsored by the Maine Audubon Society, takes place from just 7 a.m. to 7:30 a.m. on the third Saturday of July. This year’s count wrapped up July 21. The chick population has experienced three years of increases, the data shows, which is typical in a three- or four-year cycle. 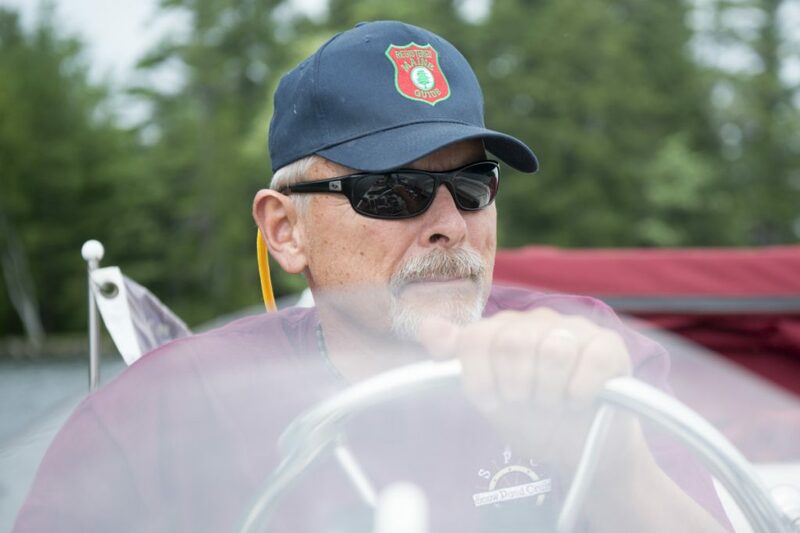 Gary Bennett, who operates Snow Pond Cruises in Oakland and is also a member of Friends of Messalonskee with Whitney, said there’s usually around 14 loons on the lake annually. The nesting season lasts into July, but he said chicks that hatch at the end of July or in August probably won’t survive, as they won’t be old enough to fly when the loons leave the lake for the coast right before the lake freezes. Nesting lasts about eight weeks, he said. 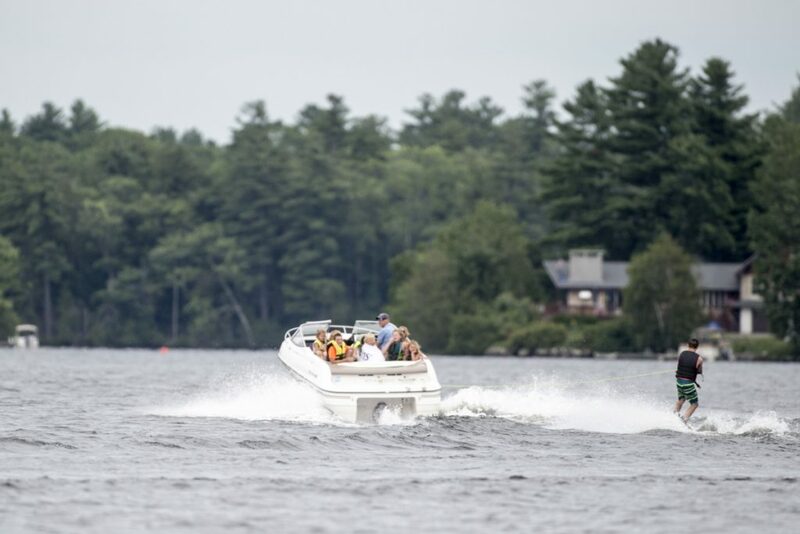 Both he and Whitney said they just want boaters on the lake to be educated about rules and safety while on the water, not just for the loons, but also so the wakes don’t cause soil erosion on the shores. “I wish people knew or cared more about their implications on the water,” Whitney said.